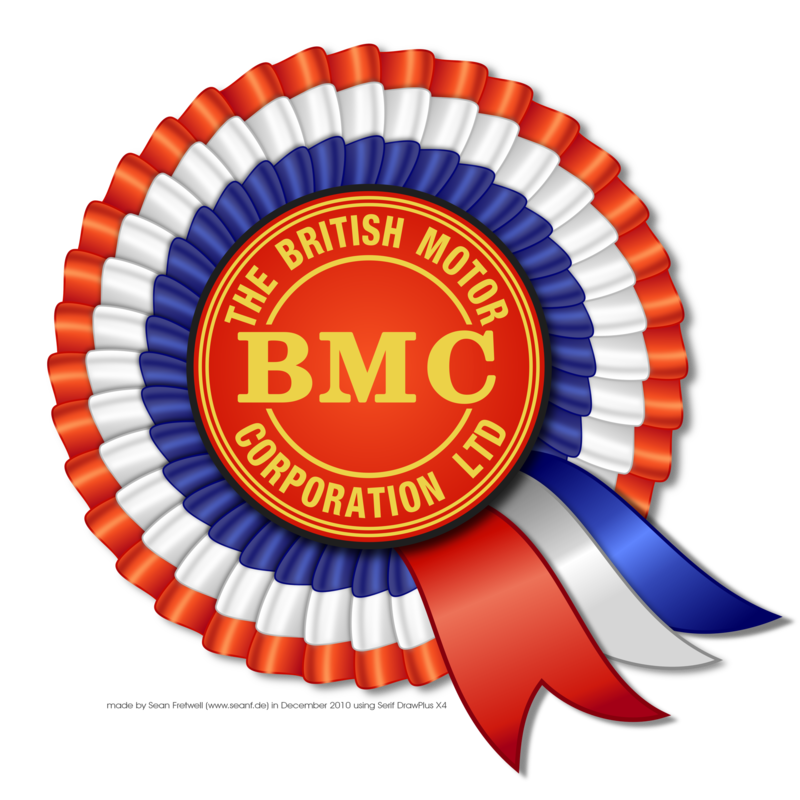 This is my remake of another old logo, BMC, which later became British Leyland. This was not too difficult to make as the rosette is made from a single grouped object that I pasted and rotated to form a circle. This too is made with Serif DrawPlus X4 and is 100% vector. For a large version of this piece please click here or the image (2,000 x 2,000 pixels, 2.08 mb).